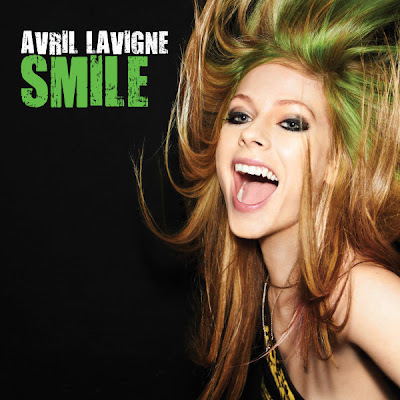 Avril Lavigne's 'SMILE' Video is out today!! I was excited that this was to be her second single, though really think she should've varied it with her more heartfelt songs such as 'Remember When' or 'I Love You'. Still, I love this song so glad she picked it! 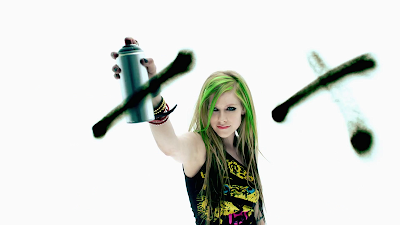 In the video, Avril rocks out in her white room acting crazy- I liked the bit where she sprays the 'camera' and also where she spins and the footage reverses- it wasn't overdone but it was used at the right time near the end. However, the thing I liked about it most was that it wasn't a literal video where she goes out and parties, someone spikes her drink and she wakes up with a new tattoo. Instead, Avril is walking down the streets of [New York?] picking up the pieces of broken hearts which then allows the people hurting to smile. I'm also glad the people did not turn back into normal colour afterwards because that would've been very cheesy! !